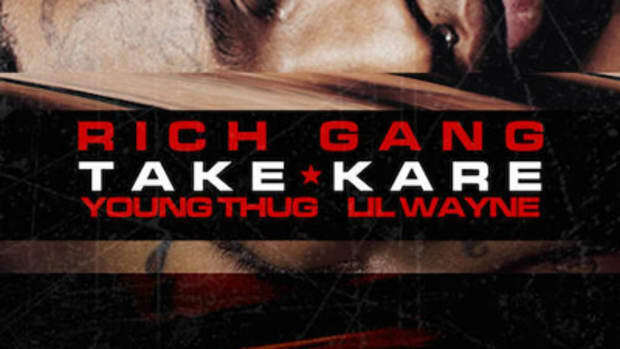 In 2015, the quickest way to get a hip-hop head to flip out is to suggest that Young Thug is the new Lil Wayne. 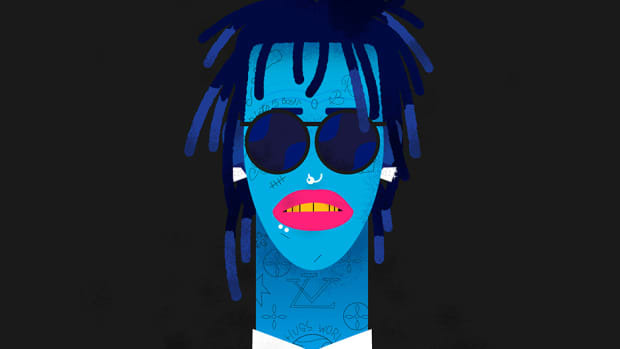 Of course, many of those who now adamently defend his royal Weezyness&apos; legacy once regarded a young Lil Wayne as the rapper who was going to ruin hip-hop forever, but now that there&apos;s a new young rapper who&apos;s going to ruin hip-hop forever, Wayne has apparently been elevated to Holy Keeper Of The Hip-Hop Torch Whose Greatness Shall Never Be Surpassed By Any Artist to Come Henceforth status. It&apos;s the circle of life, and it moves us all, even Dwayne Michael Carter, Jr.
My brain exploded into a thousand rays of light. The Matrix melted before me and revealed the truth to my astonished eyes. 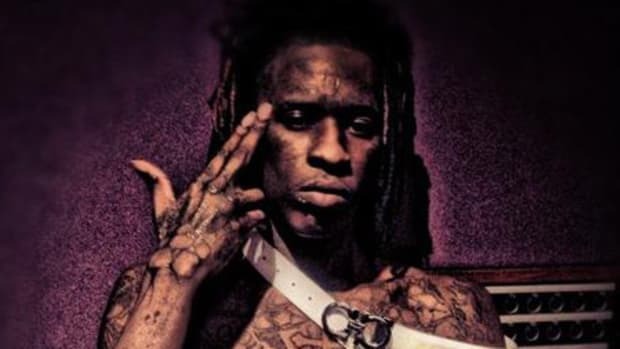 Much like the Buddha sat beneath the Bodhi Tree and reached nirvana by realizing the fundamental, unbreakable web of connections that bind all creatures in the universe, so too did I understand that Young Thug really was the new Lil Wayne. 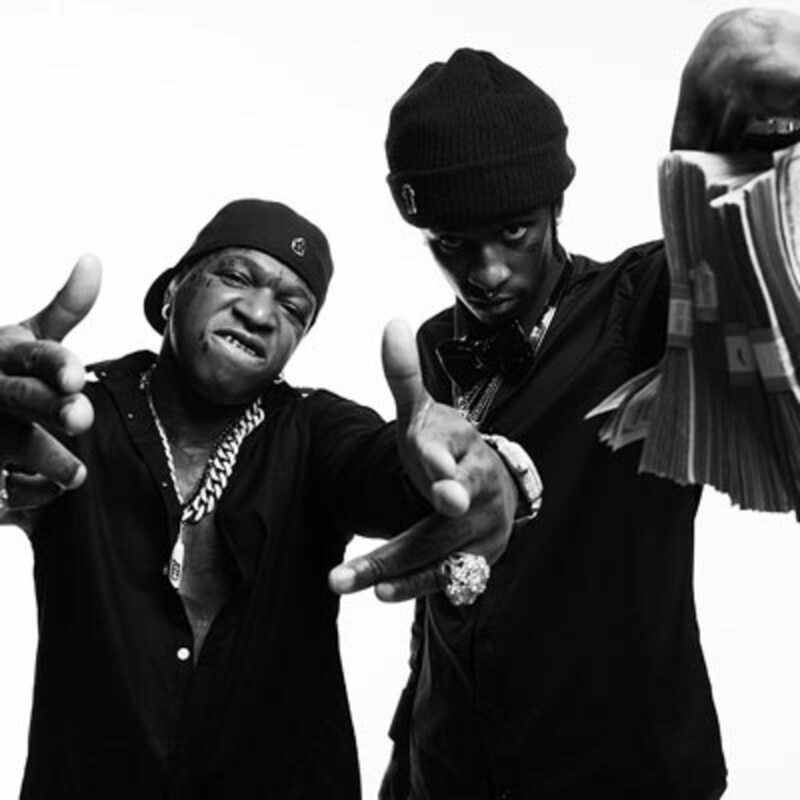 Or more accurately, Young Thug is Birdman&apos;s new Lil Wayne. The fact that I had recently spent hours pouring through Lil Wayne&apos;s lawsuit against Cash Moneyundoubtedly planted the seeds for my epiphany. In short, Wayne claims that his Baby Daddy kept him swimming in stacks of cash and fancy cars and all manner of distracting bright and shiny objects while also finagling nearly all of Wayne&apos;s copyright and publishing money. Bidrman&apos;s modus operandi - and at this point I think it&apos;s fair to say that artists suing him for financial shenanigans is a pattern, to put it lightly - is a time honored strategy practiced by everyone from Wall Street brokers to record label execs. Give them the short money while keeping all the long money; make them think a duffel bag full of cash means they&apos;re rich while you&apos;re busy walking $10 million dollar checks into the bank. Fill their tour bus with drugs and women and they&apos;ll be so flush with feelings of success that it won&apos;t even occur to them to ask who actually owns the tour bus they&apos;re currently partying on. Now go watch that GIF again. Of course, eventually even the pure joy of pretending like a stack of cash is a phone wears off. Artists get older and wiser and realize they got played by the short money game and start throwing down $50 million lawsuits on the table. The writing must have been on the wall for a minute for Birdman; he knew he was about to lose Wayne and needed to find a young, impressionable rapper with the potential to replenish the Cash Money coffers. If only there was a young artist out there who was exploding in popularity and also idolized Lil Wayne and Cash Money; find that artist and you&apos;d barely even have to do any convincing before they were signing their own adoption papers. For a minute it looked like Birdman&apos;s vampire master-plan was going to work. Lil Wayne was apparently initially willing to co-sign Thug, jumping on tracks and stages alongside Birdman&apos;s chosen heir to the throne. And then Wayne was pushed one album delay too far and suddenly the jig was up. 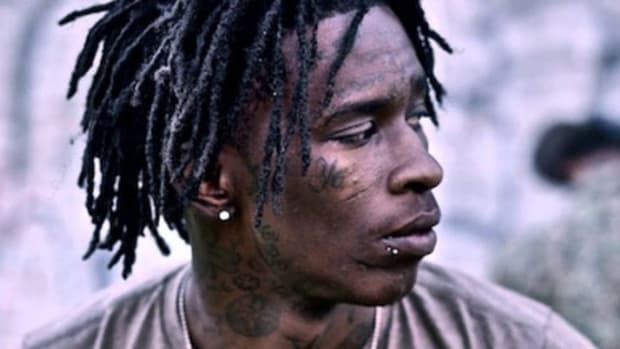 Thug became a kid caught between bitterly divorcing parents, and of course he chose to side with the parent he was still living with, the one who was making him peanut butter and jelly sandwiches for lunch everyday, over the parent who had left the house, no matter how much they idolized that parent. And just like that Thug and Weezy were trading fucks yous, although it&apos;s hard to believe the battles Wayne has been fighting against Thugger lately are anything but a proxy war against Birdman. Trusting Birdman to make sure your "business is straight" is like trusting a shark to take care of your goldfish. 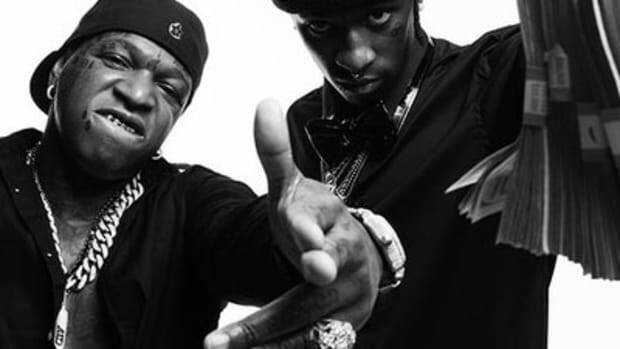 Thug&apos;s eventual signing to Cash Money feels like a foregone conclusion, but Birdman doesn&apos;t seem to be in any rush. Not when he&apos;s the one executive producing the albums, when he&apos;s the one doing all the guest verses, when he&apos;s the one in the videos. Pressing the issue is a short money move and Birdman&apos;s the master of the long money. He&apos;s not worried about getting back all that cash he&apos;s handed Young Thug to wave around in music videos, Lil Wayne&apos;s lined his pockets deep enough to take a quick hit. 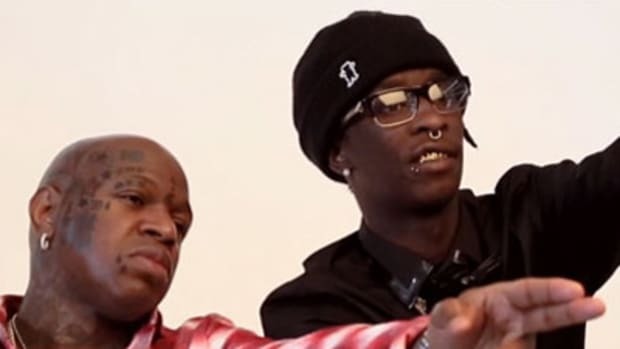 Birdman&apos;s worried about getting Thug&apos;s signature on the deal that&apos;s going to give him the majority of Thugger&apos;s publishing. And even if that deal technically says otherwise, so what? By the time Thug realizes just how much is missing it will be too late. Maybe this time around things will be different though. Maybe Birdman really is operating with the best of intentions and Thug will keep his long term financial health in mind and the balance will be restored to the force. I&apos;m sorry, I could barely even type those words I was laughing so hard. Come on, we&apos;ve all seen this story play out before, we all know how it ends. And if you doubt my prophetic skills, go ask Lil Wayne what he thinks it going to happen. 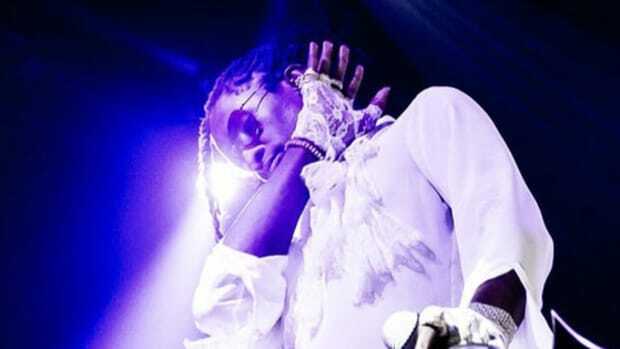 Really, no one&apos;s in a better position to predict Thugger&apos;s future than Weezy. Looking at Thug partying next to Birdman, young and reckless and seemingly unaware of the forces conspiring to feed off him, must be like looking in the mirror. 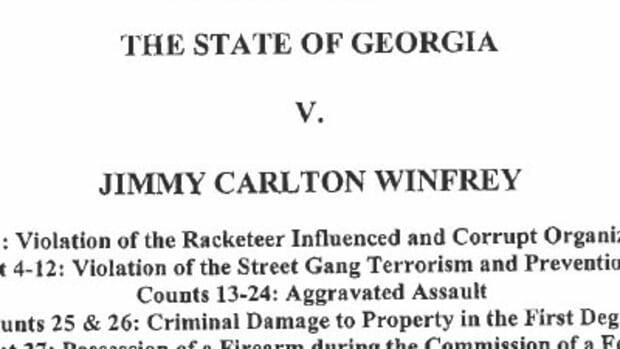 Indictment alleges PeeWee Roscoe shot at Lil Wayne's tour bus to carry out Thug and Birdman's threats.